The truth is that gardens quiet down during the winter days. You don’t have to mow the lawn or prune the roses, but there are still things you can do to keep the garden neat and prepare it for spring. Seasonal landscaping maintenance is essential. There are garden tasks to keep you busy each season. Although the wintertime allows you to be lazier in front of the fireplace, garden maintenance is as important as any other season. Your obligations are not limited to your snow removal tasks. Extra tasks will enable you to protect your plants from the cold days and diseases. If you live in Toronto, you know it’s going to snow this year again. One of the garden tasks year after year is hiring snow removal experts to clean the pathways, driveway, sideways and entrance and ensure that walkways are not slippery. But what’s hiding under the snow blanket? 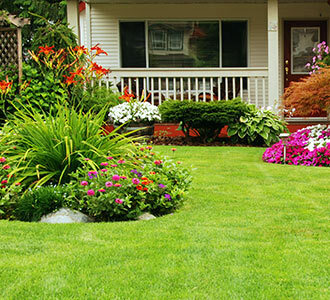 Is your lawn in good condition? Can your plants survive this winter? To avoid problems related to fungal diseases, mow the lawn before it snows. Keep it short so that it won’t get moisture beneath the snow layer. Cover all tender plants with horticultural fleece and secure it carefully at the bottom. Never use plastic materials to cover plants as plastic will make them sweat during the warmer days, and they might rot. Do you have permanent plantings? Insulate their roots by applying mulch around the plants. Check your garden for weeds and remove them. They grow during the winter too. If this is the year to replant perennials, do it between February and March. Clean up the garden by removing tree branches, leaves and dead elements. Check the moisture of your land. If it hasn’t snowed or rained yet, your lawn and plants will need some watering. If the bad weather is already here, re-adjust your irrigation system or turn it off. If plants and lawns are watered more than they need to, they might rot or get fungal diseases. Protect evergreens with special covers. Cold temperatures and strong winds might burn them. Check all plants and remove the rotten ones and dead leaves. If the weather permits, you can also trim the trees and shrubs. Remove moss which builds up in the lawn, trees and flower beds. Of course, winter garden chores might also involve cleaning and organizing your garden tools, emptying the gas from the mower and sharpening your shovels. After all, you are going to need shovels for your snow removal Toronto tasks. There is a reason why seasonal garden maintenance is important. Each season you have to do a number of tasks based on the local climate and land requirements to protect the soil, lawn and plants and prepare the landscape for the next season. If not, you will have double chores next season, and all previous efforts will be in vain. After all, the winter is the most brutal season of all, and your garden needs extra protection. Care for it!